New Brunswick is easing restrictions on abortions in the province, including scrapping a rule that requires a patient to receive the consent of two doctors before having the procedure. New Brunswick Premier Brian Gallant announced the regulatory changes on Wednesday in Fredericton, saying abortions will be covered like other insured medical services. The new rules also mean that any physician trained to perform abortions will be allowed to do so in either in a doctor’s office or in a clinic. “As a province, we have a responsibility to respect women’s rights by providing this procedure in a safe environment like any other insured service under medicare,” Gallant said. Opponents criticized the move and said Gallant is making a personal decision rather than one that reflects the wishes of the people of the province. 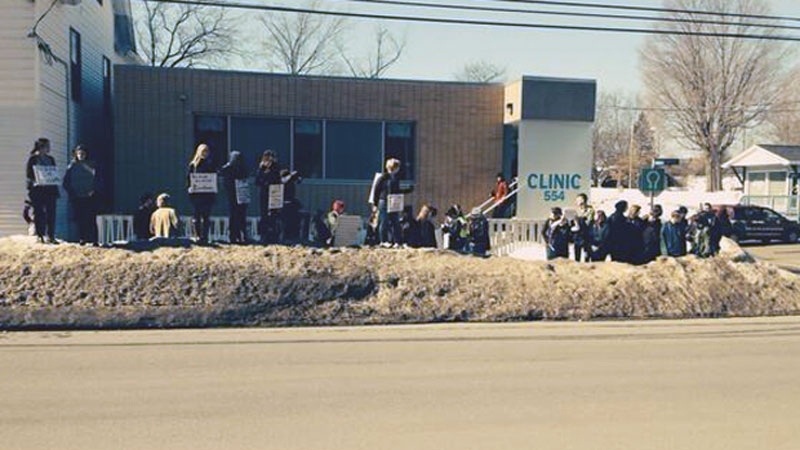 The matter of access to abortion entered the spotlight when the Morgenthaler clinic in Fredericton closed this past July. Supporters said the closure, coupled with the existing regulatory restrictions, would lead to longer wait times. Under the current rules, women need the approval of two doctors to certify that the procedure is medically necessary. Beth Lyons, associate director of the Moncton YWCA, says she’s encouraged by the decision, but still wants to see how the new rules are applied. “The change in the regulation is really fantastic but we still to need to see what this looks like in terms of services being provided in communities, especially rural communities,” Lyons said. Gallant said his government will improve a patient’s access to “non-judgmental” information regarding abortions. The premier’s cabinet agreed to these changes last week, Gallant said, and a vote in the legislature is not necessary.